Half of the bay area thrash scene’s big four are going to be there, do you really need to know more? Sonisphere, Europe’s premier touring heavy metal festival, is really bringing their A-game this year with a list of lineups sure to make any metal fan mess their drawers for joy. 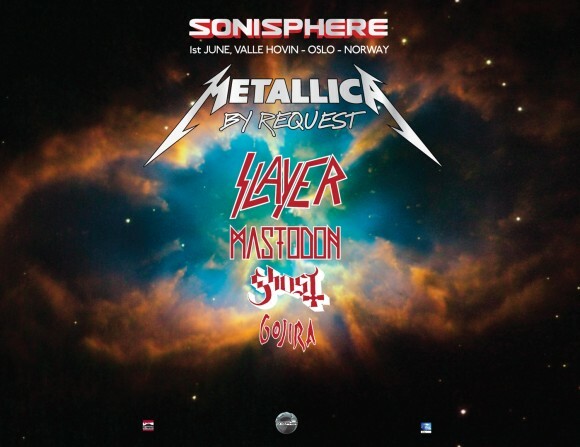 Sonisphere Norway is just the latest announced, with festivals promised in Germany, Finland and the UK. On the 1st of June, Oslo will be tested by the onslaught of brutal riffs brought on by thrash pioneers Metallica and Slayer. Ascendants to the throne, Mastodon, will undoubtedly deliver and Gojira will absolutely destroy, in the manner of the monster for which they were named. You know you want to be there.